Slide Storage Cabinet is fabricated out of thick board. Exterior clad in laminated sheet. Drawers and slide holding grooves made of seasoned teakwood / aluminum serially numbered. Each drawer has index card and puller knobs. An extra drawer has been provided at bottom for keeping index cards etc. Dust proof door has locking arrangement. Razor-120 mm with back & handle-one. Packed in card board box and thermocol packing. It is a universally approved, most modern and reliable sectioning equipment designed for very precise sectioning of tissues upto 1 micron thickness. 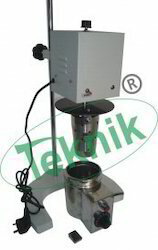 The feed indicator, located in front of microtome is operated by the latest 'CAM DRIVE SYSTEM' for accurate feed setting from 1-50 microns in steps of one micron. It is graduated in microns, is conveniently located in the front for instant references and its setting is controlled by a knurled knob at the back of the microtomes. The interior mechanism rests on a heavy cast iron base and is covered with a full swing protective cover for easier cleaning and lubrication. The Salient features include independent feed mechanism with automatic safty device,universal knife holder with lateral movements permitting use of the entire knife edge,universal vice type object holder for accurate centering of the specimen. The instrument ensures life -long smooth operation .Individual components are fabricated and assembled using latest technology and selected materials. The knife supplied with the microtome is fabricated from imported fine grain steel tested for micro-structure and is heat treated for optimum rigidity and sharpness. 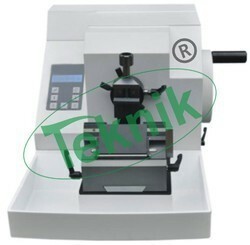 Wood Microtome (Jung Type) is a heavy duty microtome for sectioning hard materials like wood, bone etc. upto 8 x 5 cm size in steps of 1 micron each upto 30 microns. Feed adjustment - 30 microns. Vertical object displacement - 30mm. Opening of object vice - 80x50 mm. Length of slide ways - 42 cm. Overall dimensions (horizontal) 85x40 cm. Special heavy duty razor with back-one. Provided with a hermetically sealed compressor unit with 'A' grade components to achieve quick cooling of up to -400C. 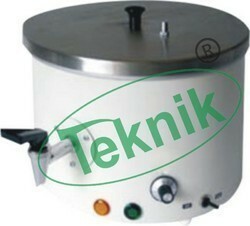 It is provided with feed range from 0-40microns in steps of 2microns each. Provided with a hermetically sealed compressor unit with 'A' grade components to achieve quick cooling of up to -500C. 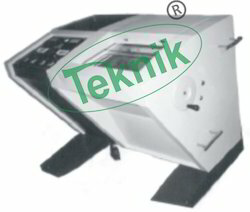 It is provided with feed range from 0-40 microns in steps of 2microns each. 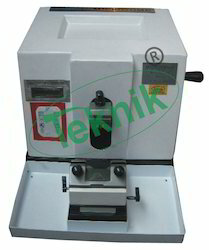 Automatic Razor Sharpener is a spencer type streamlined automatic microtome knife sharpener with electric timer coupled with simple operation for razors upto 185 mm on both the wedges. Working mechanism encased in aluminum cover and front portion covered with clear acrylic canopy to observe safe and dust-free honing. 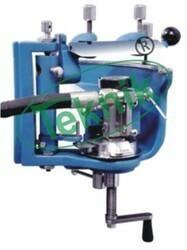 It is supplied completely with glass honing plate, coarse & fine abrasives and dust cover. 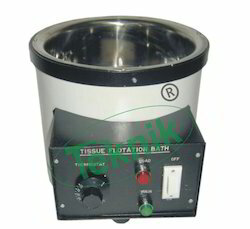 Tissue Flotation Bath is useful to float tissue wax sections to flatten for staining process. Double Walled chamber, inner made of black anodised aluminum and outer wall made of mild steel sheet duly painted. Gap between two insulated with glass wool. 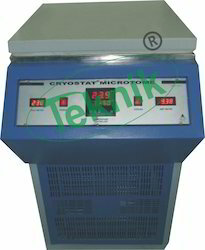 Temperature ambient to 700C ± 20C controlled by a thermostate. 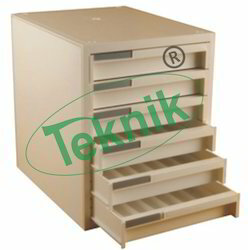 Tissue Wax Block Storage Cabinetis made out of duro-board, externally clad in laminated sheet. Dust-proof door is lockable. 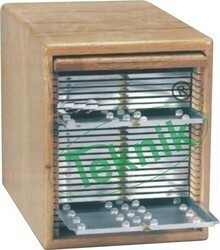 It is provided with smoothly sliding drawers with sixteen compartments each of size 4 x 4 x 2" and have puller knobs. Each compartment can store blocks in two rows. Cabinet Capacity: upto 20,000 blocks can be fabricated. It is designed for sectioning comparatively soft, wax-embedded tissues with a thickness range of 2 µm to 24 µm, in steps of 2 µm. Calibrated in 2 micron divisions, the section cutting thickness can be set easily and quickly by a single control. 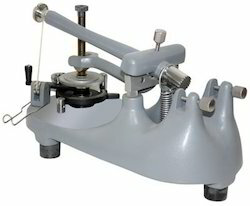 It is recommended for elementary biology & pathology students.The rocking microtome is an extremely reliable instrument comprising of three moving parts. The lead screw mechanism incorporates quality precision engineering and the cutting stroke is controlled by a single control lever which minimizes the operator skill required. 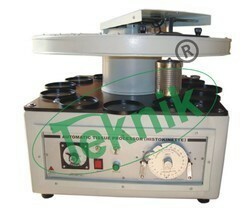 It carries wide choice of specimen holders cylindrical holders, standard orientating & wood block holders for sectioning wax embedded specimens. 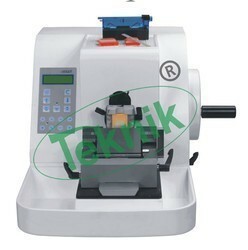 Rotary Senior Microtome (Spencer 820 type): Standard latest sectioning equipment for cutting serial sections in medical & biological research work. 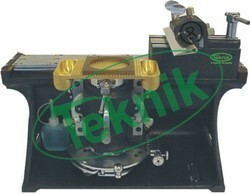 The mechanism is protected by a hinged cover. 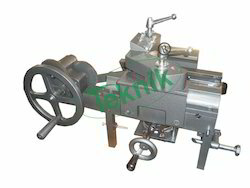 Precise feed mechanism is followed to cut sections from 1-50 microns in steps of 1 micron each. It is provided with safety device. Total feed excursion - 28 mm. Opening of object clamps : 37x27 mm. J-8C (Deluxe) : Micron setting is in front for quick glance. 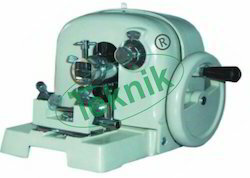 Fully Automatic Microtome"is a fully automatic microtome based on latest technology that functions on ball bearing guides and a microprocessor based control system with following specifications. It incorporates automatic memorization and recovery, a hand wheel which is lockable in any position, high volume trash tank, convenient specimen clamp, disposable embedding cassette clamp and paraffin clamp, safe alarm system, dormancy protection and advanced imported drive system. Smartly located feather touch buttons can control all the functions effortlessly. 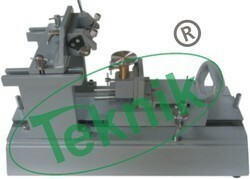 It can be used for semi-thin to thick sectioning of both soft and hard specimens. 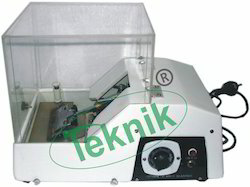 Also having an integrated waste collection folder.. A standard sample holder is provided with the proposed device optionally a glass knife holder Accessories supplied with the Microtome: Tissue flotation bath. (5 liter), Digital Temp Controlled. Disposable blades ( 50 ) and blade holders, Block holders, (20), L. moulds. ( Brass ) (20) ,interior parts permitting easy access for cleaning & lubrication. Freezing Microtome (ERMA Type): Versatile sectioning machine for quick processing of frozen material by carbon dioxide freezing attachment. Table clamping is provided. Suitable to cut sections upto 40 microns in steps of 5 microns each. Freezing stage : 35 mm diameter. Feed range : 5-40 microns. Total feed excursion : 25mm. Razor 120 mm with back & handle-one. CO2 freezing attachment & stage-one. Spanner for attachment to CO2 Cylinder-one. Packed in card board box. 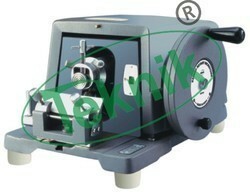 Sliding Microtome is a jung type sturdy sectioning equipment for paraffin, cellodine & embedded specimen or in natural form. 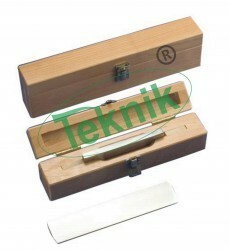 It is suitable to cut sections upto 40 microns in steps of 2 microns each. Paraffin Dispenser is embedding bath-single type dispenser which is double walled, both made of stainless steel sheet, gap filled with glass wool for temp. Insulation. 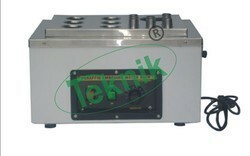 Temperature range ambient to 70°C controlled by hydraulic type thermostat. Completely supplied with Pilot Lamp, Temp. Control Knob, Cord-Plug etc. To work on 220V AC 50Hz, single phase. Available in capacity : 1 litre, 2 litre & 5 litre. Optional : Stainless steel basket. Automatic Tissue Processor is a compact and versatile equipment for staining process atomization from stage one of fixation of tissue and dehydration process to paraffin wax saturation. Glass door with locking arrangement provides easy viewing and safety from tempering. Continuous agitation is provided by rotating S.S. Tissue basket to make process more effective. A superior thermostat maintains desired temperature of wax bath. 1 - S.S. Basket rotor. 24 - S.S. Tissue capsules. 10 - 1 litre glass beakers. 2 - S.S. Wax baths each fitted with thermostat, 5-24 hrs. One-notch plier for programming time discs. It works suitably on 220V ac 50Hz single phase.